Is there a better alternative to New IRC Live Chat Client? 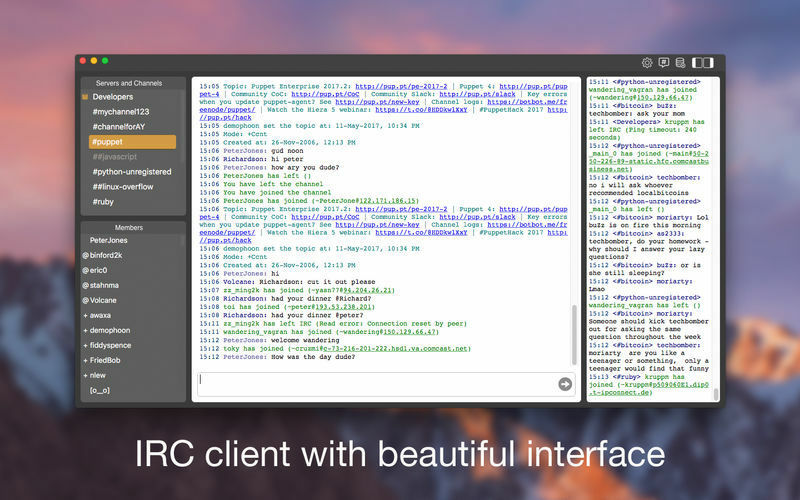 Is New IRC Live Chat Client really the best app in Social Networking category? 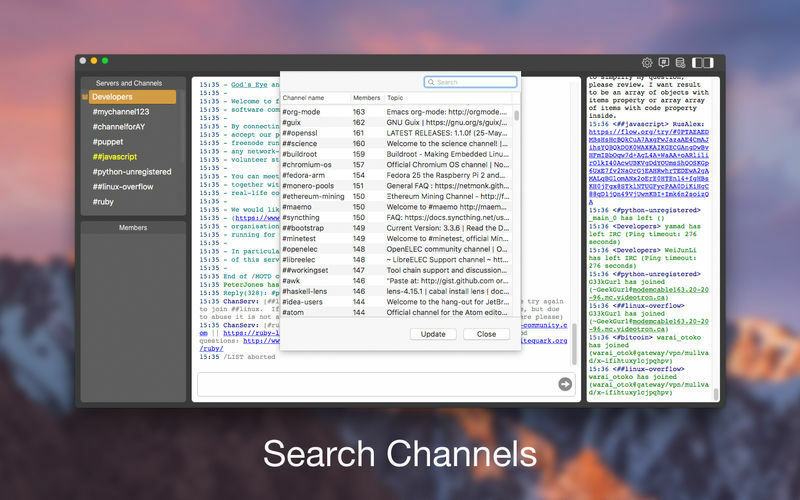 Will New IRC Live Chat Client work good on macOS 10.13.4? New IRC Live Chat Client connects you to IRC, a way of communicating in real-time with people from all over the world. It consists of various separate networks (or "nets") of IRC servers, machines that allow users to connect to IRC. 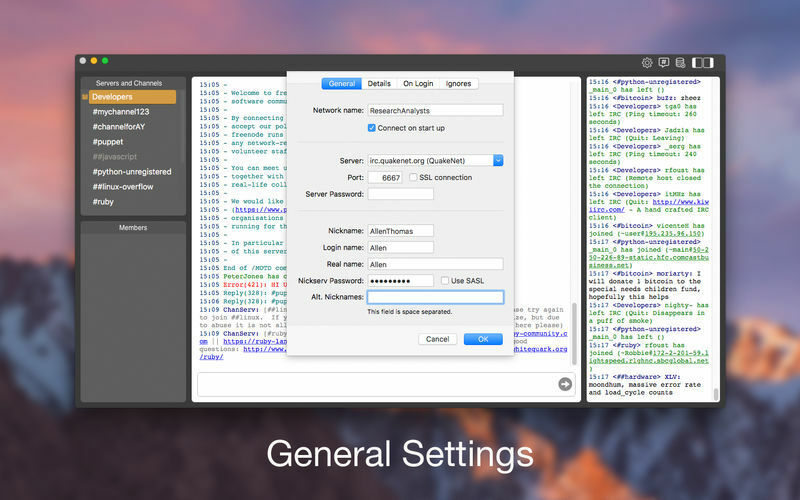 Added option to add custom service. New IRC Live Chat Client needs a review. Be the first to review this app and get the discussion started! New IRC Live Chat Client needs a rating. Be the first to rate this app and get the discussion started!